Saw this at Urban Outfitters today in Manhattan. This is what happens when your employees in China work 16 hour shifts. 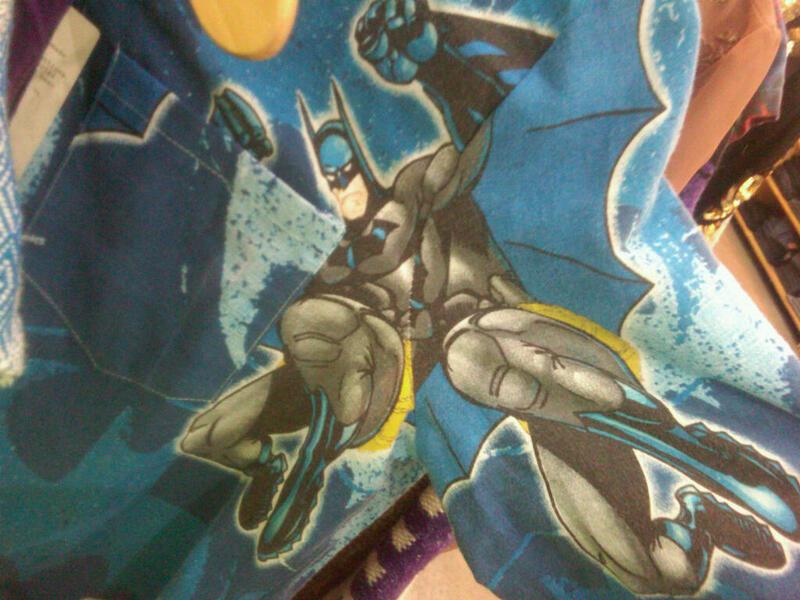 Batman’s face = I am so pissed. Why is my fist so big? WTF four legs??? Do you even know what I’m supposed to look like? Fucks given by Urban Outfitters ? None. Yikes! The only thing that would have made this worse was if it were drawn by Rob Liefeld!